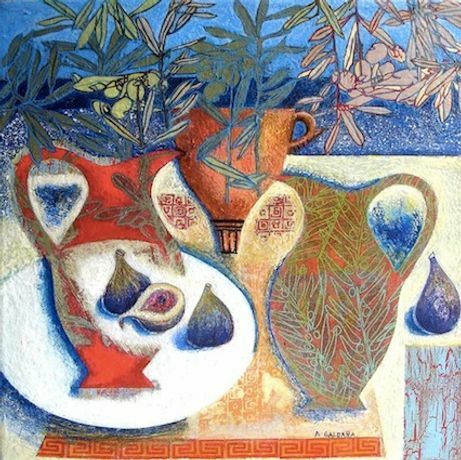 ALISON SALDANA textured fresco still life paintings. CONSUELO mixed media illustrative paintings. DAVID BOTTOMLEY landscape and still life oil paintings. Plus mixed gallery of contemporary London artists.